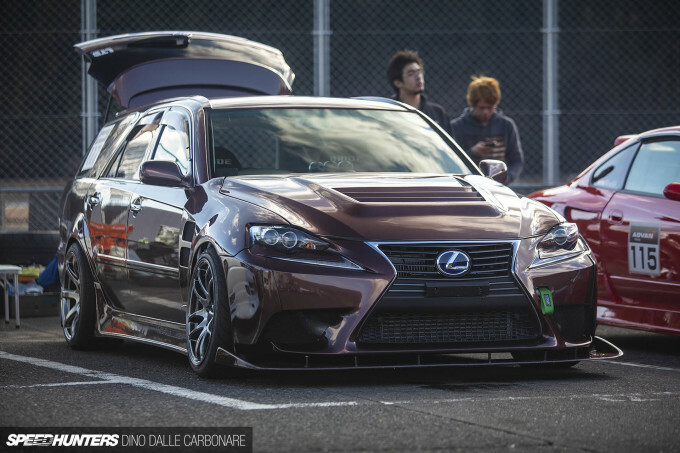 We like wagons here at Speedhunters, especially when they are powered by 1JZs and built for drifting. It’s not a rare occurrence seeing the odd station wagon mixed in with a group of drift cars at small tracks like Nikko, as we’ve always seen how the Japanese like to play around with whatever they can get their hands on. But this take really takes the cake. I haven’t seen this car since Kazama-san of Kazama Auto built it a few years back for Tokyo Auto Salon. 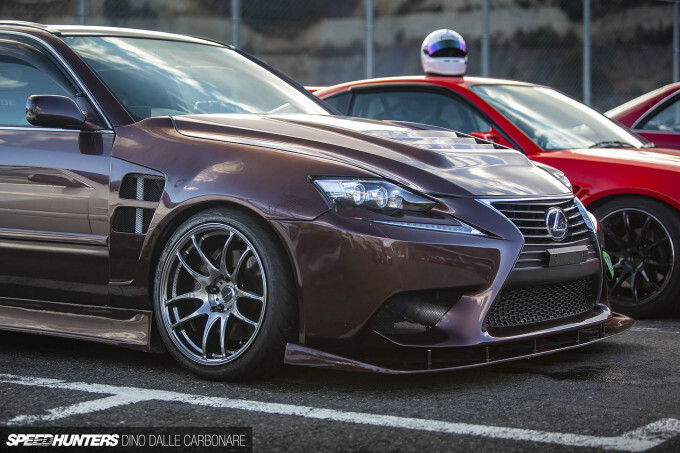 Since then, the car was sold and thankfully the new owner likes to make full use of the performance which hides behind that grafted on Lexus IS face. The JZX110 Mark II Blit always looked like a massive afterthought when it came to design. A rear end extension that seemed to be just stuck on over the sedan’s trunk and roof line and then, for reasons unknown, a new set of headlights to differentiate it from the sedan. Cool? 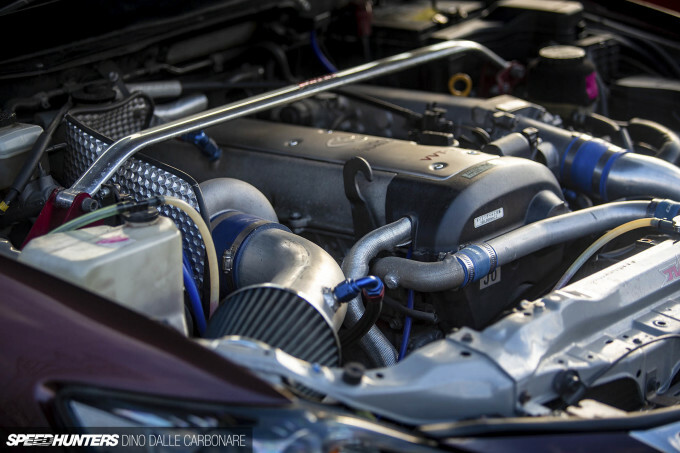 Yes, because it was rear wheel drive and could be ordered with a 1JZ-GTE, but pretty… not so much. Kazama though had a spark of genius when building this show car, daring to do what Lexus had never even thought about doing, despite all the German cars it tries to rival having station wagon offerings. And so with a little nip and tuck here and there, the IS’ face replaced the Blit’s uninspiring looks, giving the early 2000 station wagon a sharper and more modern feel with that unmistakable spindle grille. 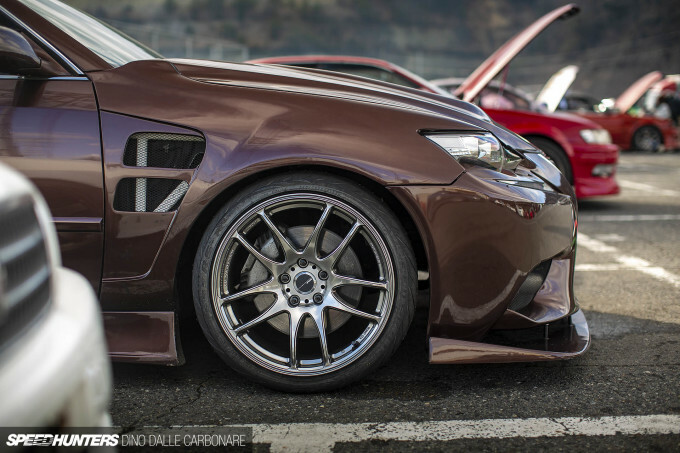 Aggressive aero bits like the vented hood and fenders – that allow you to see the strengthening bars beneath – are all part of the Promode SS line up of parts that Kazama Auto makes for the JZX110. It certainly gives a ton of presence to this custom built and custom painted drift wagon. 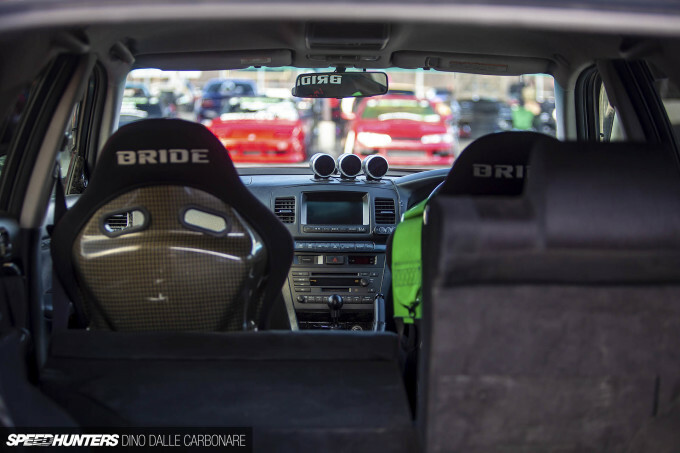 The usual JDM gadgets you expect to find in any tuned car are very much present, from the array of auxiliary gauges and GReddy Profec boost controller to a nice and simple Nardi wheel. Carbon-Kevlar Bride buckets replace the comfy chairs which the Blit came with, and with the 60:40 rear seat arrangement half folded you can’t help but marvel at the sheer size of the interior of this thing. 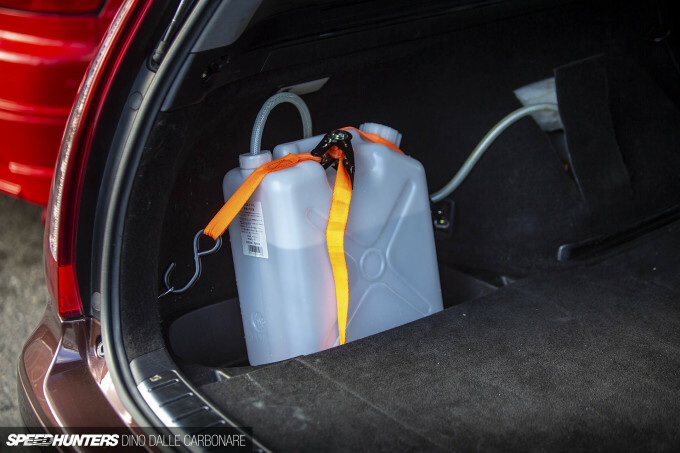 There was also a large tank of water in the back, probably for an intercooler spray setup. The Trust T78 strapped to the 1J provides what looks like plenty of power out on track; the external wastegate fluttering away as the owner/driver feathered the throttle though the turns to keep the long wagon balanced. 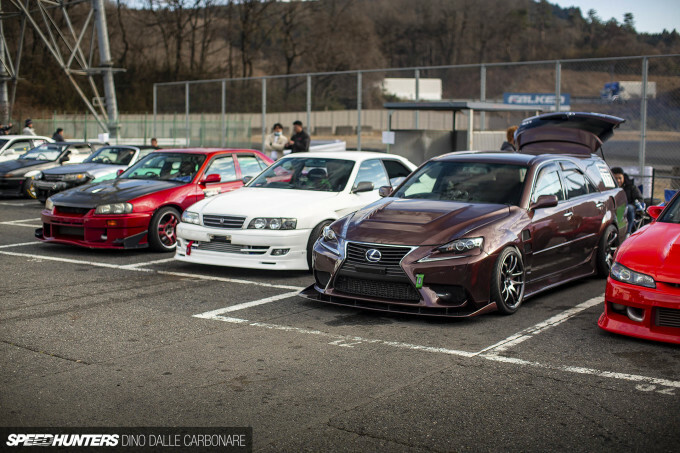 So ,if you ever wondered what happens to Tokyo Auto Salon demo cars, here is a good example. It’s a pure joy seeing such a well built car being used properly. Hats off to the owner!